Well, I can’t really believe how quickly that went. I suppose, in comparison to the 56 day tours I used to lead in South America, 14 days is a blink of the eye. But, it still seemed to whip through really quickly. Every day I kept waking up and thinking, “damn, it’s already day 6!”. I really couldn’t be happier with how the tour went. Yes, we had some issues to deal with like any trip; there was a railroad strike, and massive waves washed out our Ballestas Islands trip, for example. But, in general, everything went really smoothly. And, of course, there were some amazing photos to be had in this wonderfully photogenic country. To give you a bit of an overview of what went down on this photography tour of Peru, I put together a bit of video during the trip to show some of the places we saw and shot. Check it out. I’ve also got a bit of a rundown on things below. It’s funny, but I think the question I get asked the most often is about the group. How old are they? What’s they’re skill level? Where are they from? I know, people are interested because they want to see if they fit in a photography tour. Well, the good news is that no matter your background, you’ll find a place in the group. My group had 9 participants: 4 Canadians, 4 Americans, and 1 Mexican. They were ages 26 all the way to mid-70s. Moreover, their skill levels in photography ranged from extremely talented long-time shooters to people still trying to figure out their cameras. We also had some hobbyists using high-end point and shoot cameras. So, no, you don’t need a DSLR to enjoy photography. Really, the group was amazing. They all enjoyed a bit of adventure, were open to learning photography skills, and by the end of the trip I think we kind of melded into on big strange family of photographers. 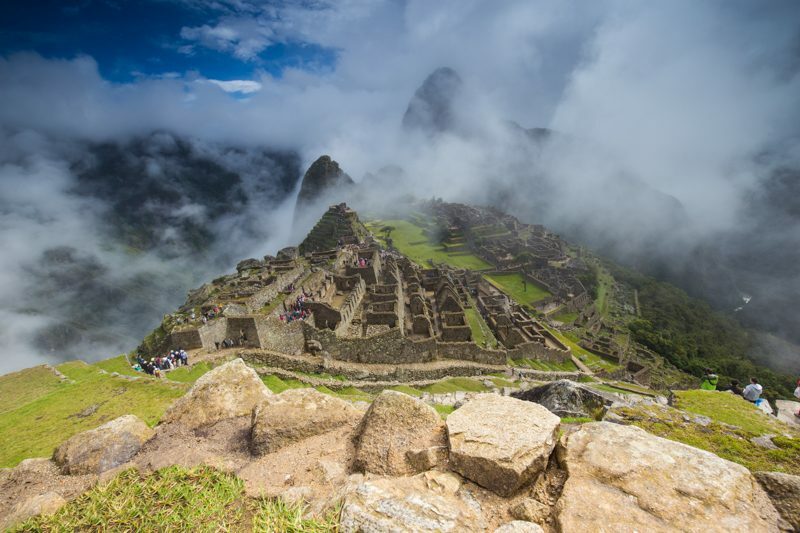 More Upcoming Photography Tours in Peru? Beyond this year, the current plan is to return to Peru every 2 years to run a trip or two. So, if you missed out on these two, you won’t have to wait long. 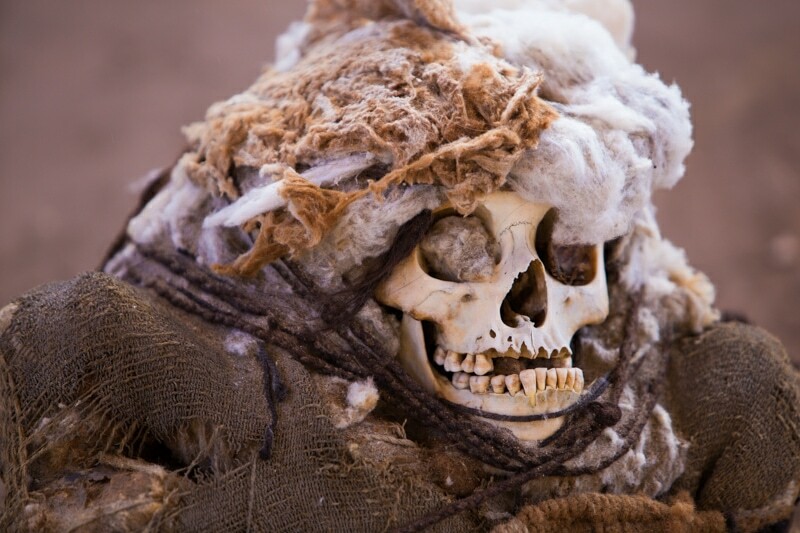 I shot nearly 1300 photos in the 14 days of this photography tour in Peru. In the end, I kept about 400. Obviously, I can’t share them all. Instead, I’m going to post my favourite photo from each day of the tour. I hope you like them. Day 1 was actually pretty eventful. Not only did the group get together but there was a massive parade in downtown Lima. 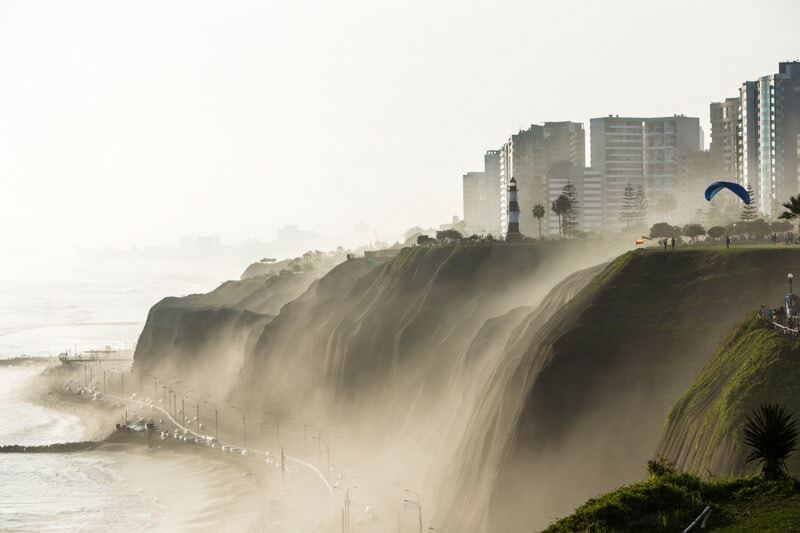 Then we went down and shot the sunset light in Miraflores. 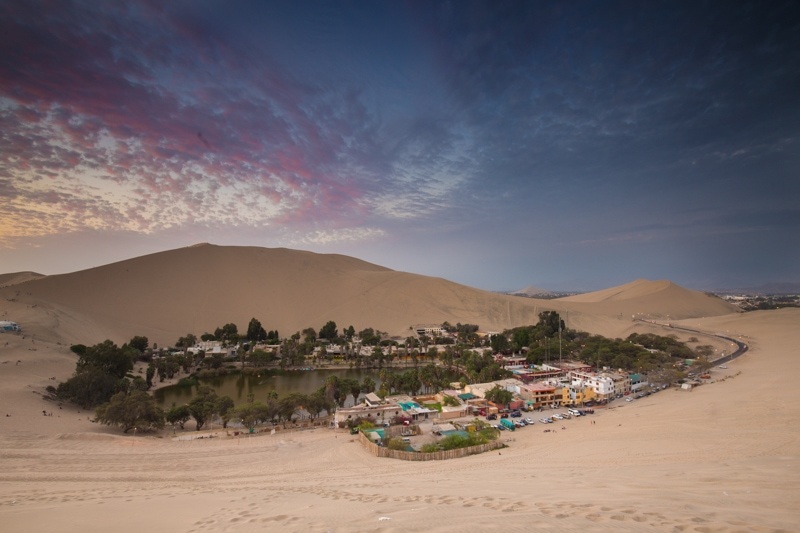 Day 2 we headed over to Huacachina which is an oasis in the desert. After arriving we went dune buggy riding in the dunes. This culminated with a sunset view over the oasis. Day 3 was meant to be a visit to the Ballestas Islands. However, there was massive swell on the coast of Peru and the trip got cancelled on us. 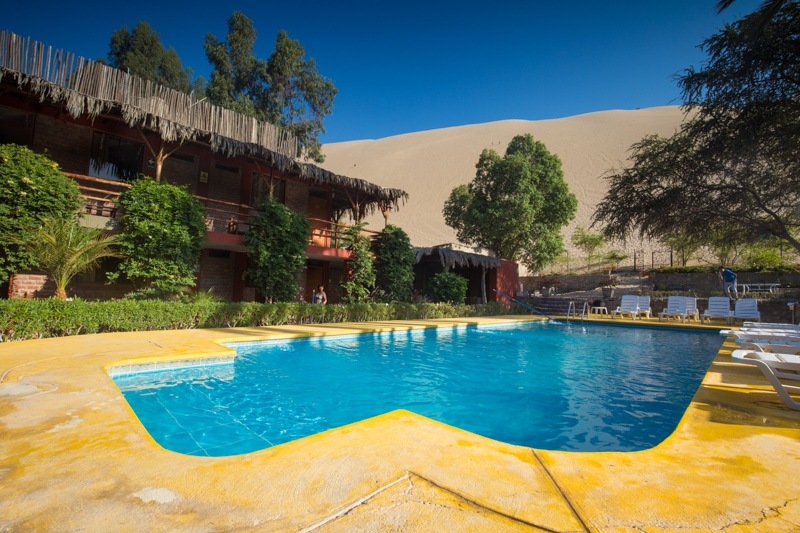 Instead, we had a pool day at the hotel before leaving mid-afternoon to Nazca. Day 4 was incredibly intensive. We did morning flights over the Nazca Lines and then in the afternoon we visited the open-air cemetery called Chauchilla. It’s creepy and awesome. In the night, we caught an overnight bus to Arequipa. 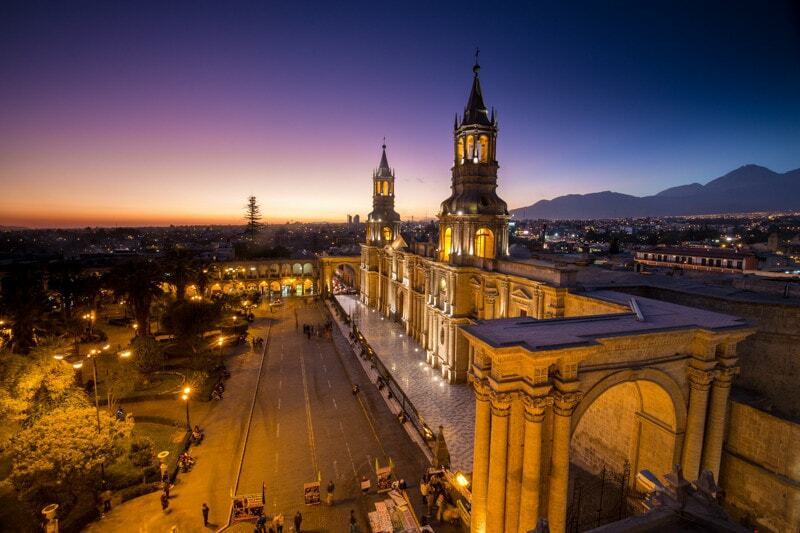 I used to live in Arequipa, so it was fun to return. We visited the Santa Catalina Monastery in the day, then went for sunset Pisco Sours and some photography above the plaza de armas at sunset. Leaving Arequipa, we headed towards the Colca Canyon. It’s not an easy journey, as the altitude hits heights more people don’t get exposed to. But, it sure is beautiful. 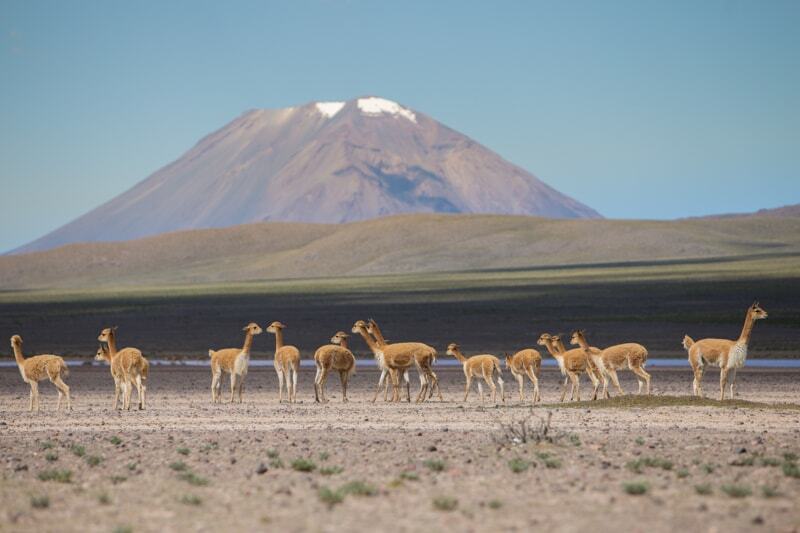 Along the way, we stopped and photographed Vicuna grazing in front of this brilliant volcano. Day 7 was likely the most difficult to choose an image from. We photographed the Condors over the Colca Canyon, shot portraits of vendors, and had an amazing sunset sky over the altiplano when we left. But, in the end, it’s my first photo taken that day that makes the cut. I shot this at dawn from the lawn of my hotel at the gateway to the Colca Canyon. Are you starting to get the idea how much we saw on this photography tour? On day 8, we headed onto Lake Titicaca for a visit to Taquile Island and later a homestay on Amantani Island. 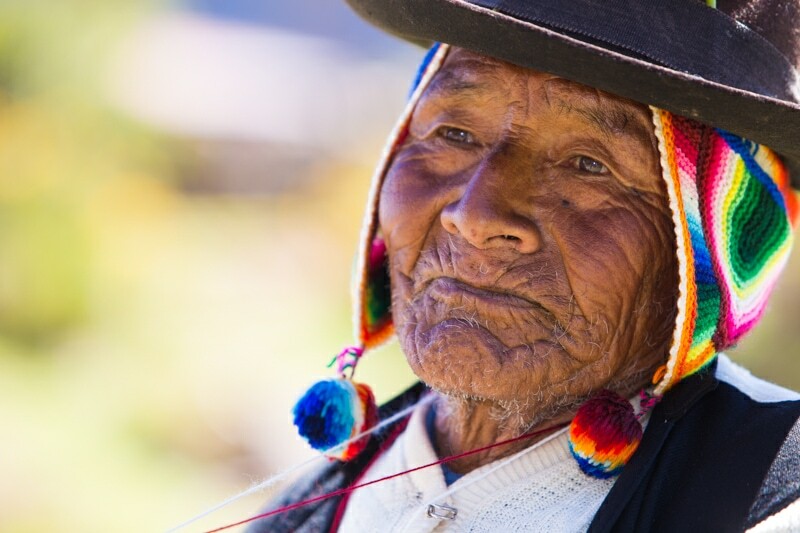 This is a portrait from an elder on Taquile Island. 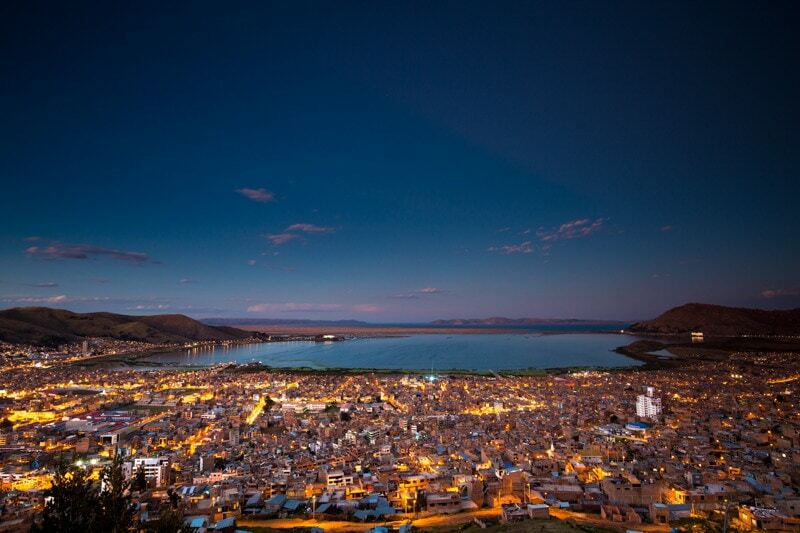 If the intense travel schedule wasn’t enough, at the end of day 9, we decided “hey, let’s climb up above Puno and shoot Lake Titicaca and the city!” Of course, climbing at 4000m above sea level isn’t easy. We struggled, but it was worth it. 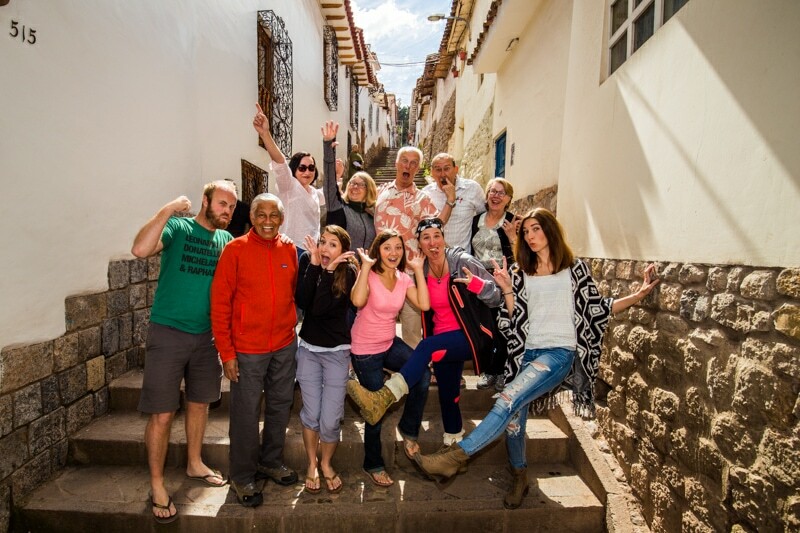 On day 10, we finally arrived in Cusco. I forgot how much I love this city. It’s just fantastic. Finally, the group got a well-deserved free day on the trip. 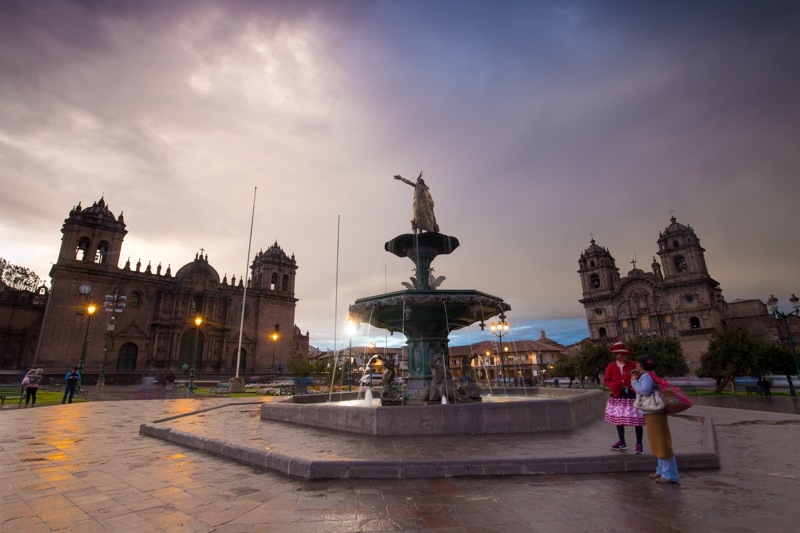 In Cusco, most people opted for exploration. In the evening, I headed down to the plaza after a bit of a rain storm to photograph the cathedral. This is one of my favourite days of the trip. 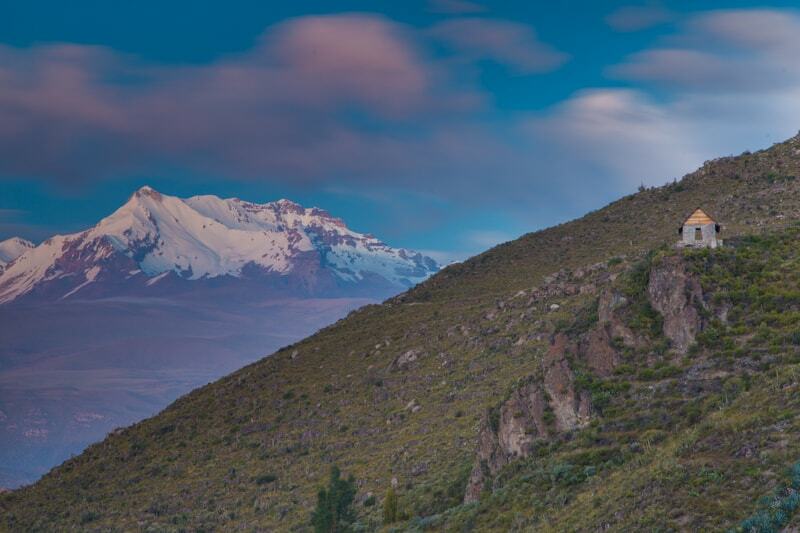 The Sacred Valley is absolutely stunning in itself, and there are so many interesting stops along the way. Our first stop of the trip was at an Alpaca farm where locals also weave the wool. 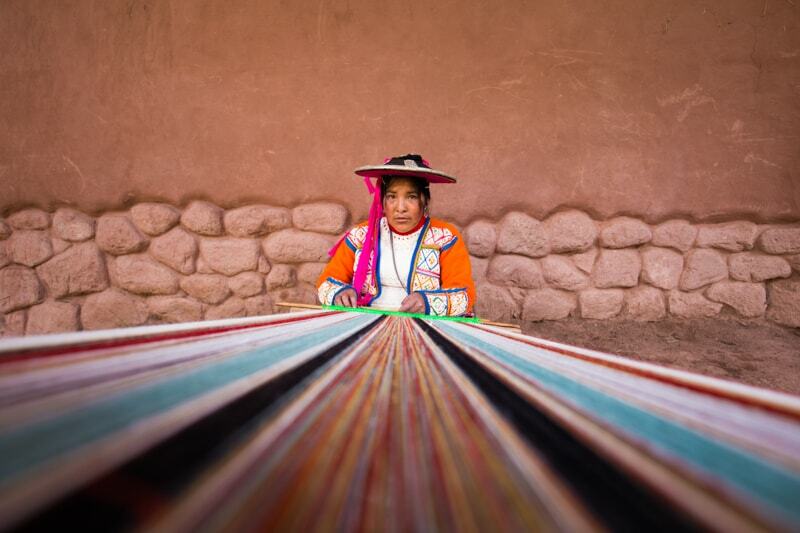 This woman weaving made for an awesome portrait. Our visit to Machu Picchu was fairly classic. It started raining and miserable, and as the day evolved, the clouds began to lift. This was my favourite photo because it’s just a bit different from all the images that are a bit more clear. We took a couple “normal” group photos when the tour ended. But, we realized that our group was far too goofy for a “normal” photo. This is what we ended up with. I’ve had some big life changes recently, and think a bit of a personal post is due on that situation. So that will likely be coming up soon. I also still have a video and article from Huanchaco, Peru to come. Then, I’ve actually just booked a flight to Bolivia. I’m going to head to Santa Cruz and then maybe into the jungle in search of wildlife – specifically a jaguar. So, stay tuned to the channel. Nice overview of you trip that just ended. I’m looking forward to the July trip, it should be a busy but rewarding tour. Some amazing photographs. 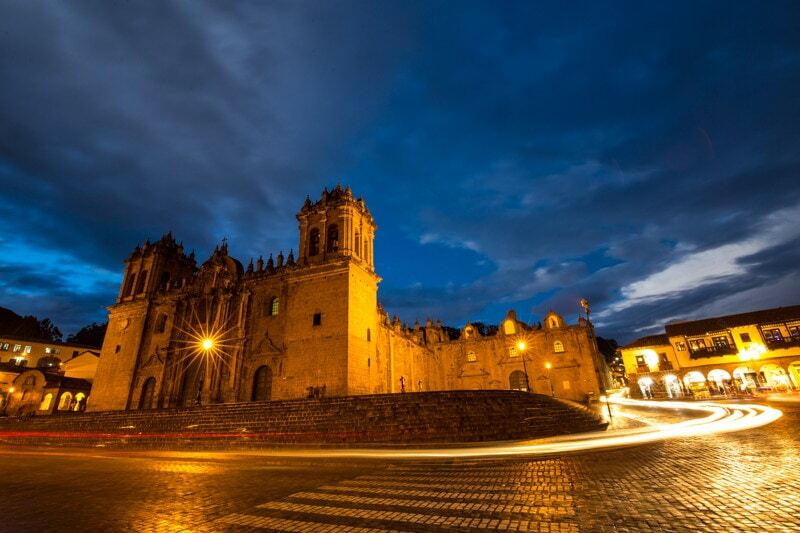 My favorite is the cathedral at Cusco.